WHAT MAKES FASHION SO IMPORTANT – The day people started wearing clothes, fashion took birth. Fashion does always means being glamorous, heavy or ornamentation but truely it means to be unique and creation from inspirations. 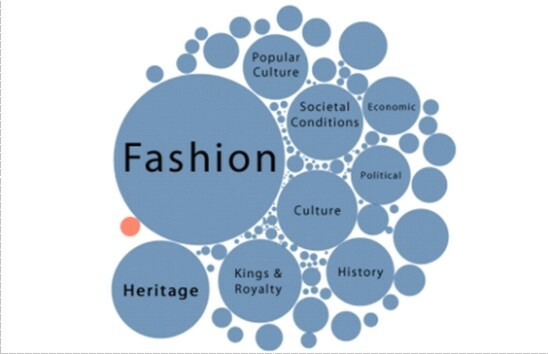 Fashion does not also only related to the clothing but in the modern era it is related to each and every product in the market or in the materialistic world. Though the basic purpose of dressing can be warmth and protection but fashion nevertheless has its roots in adornment, decoration and ornamentation. But here we will focus on the main fashion that is the world of clothing. The very first fashion designer was a dressmaker Charles Fredrick Worth back in the mid 1800’s. He has the first couture or design house in Paris, France. Those days designer just used to design clothing for royal families only but later on it got familiar to the common man according to the phase of time. Fashion is not same for all each individuals .All of us have different views so we also have different perspectives for fashion also. Some people wants to look always stylish with fashion,some wants to be comfortablein what ever they wear but with a touch of fashion in it, some people are more focussed towards the quality of the clothes with fashion and some gives importance to its price tags. Therefore, all the good designers always and must focuses on these facts and design according to the customers requirements. No body can deny the influence of fashion. Each of us is constantly affected by fashion in one or other way. Print media and electronic media are most important in shaping our lifestyles. Every fashion showed symbolises something everytime. For instance, you are going on a beach then wearing flouroscent colour and bold prints makes you fashionable for that venue and gives you a feeling that you are on the beach to enjoy urself similarly if you in an official meeting wearing a classy suit then it gives you a feeling of gentle looking and a feeling of self-respest and honour. Therfore, fashion doesn’t only means to wear latest trends clothes and prints but they they gives a feel to the situation and place. Fashion is a sign language or way of communication. Through it one can express his or her emotions, feelings, thoughts, and over all personality. Different fashion concepts speak out a lot about the culture, environment, values, traditions and roots of a group of people and where they come from. Some of the countries also restricts on the way of clothing also so in those countries whatever the trends comes in the world they don’t bother about that, they just wear what they are wearing from the last decades but every time with a little touch of fashion designs in it. Fashion is an identification of individuals, special groups and cultures. Fashion is changing from past hundred years. New trends are being set by fashion industry. Young designers are coming up with new ideas by blending various cultures but always remember that fashion shows our personality, it is a self-expression so never think that fashion is always limited to some superstars or glamorous models and media people but instead it is related to our daily life. With the morning only we start to be fashionable, we wake up and start making ourself looking good so that people respects us. Be confident to carry out the outfit gently and with a great gracefulness in it.